Cards with same or icon as this Nor are considered to match its affiliation for purposes related to its sites. Compatible OFFICER-classification personnel may report here. 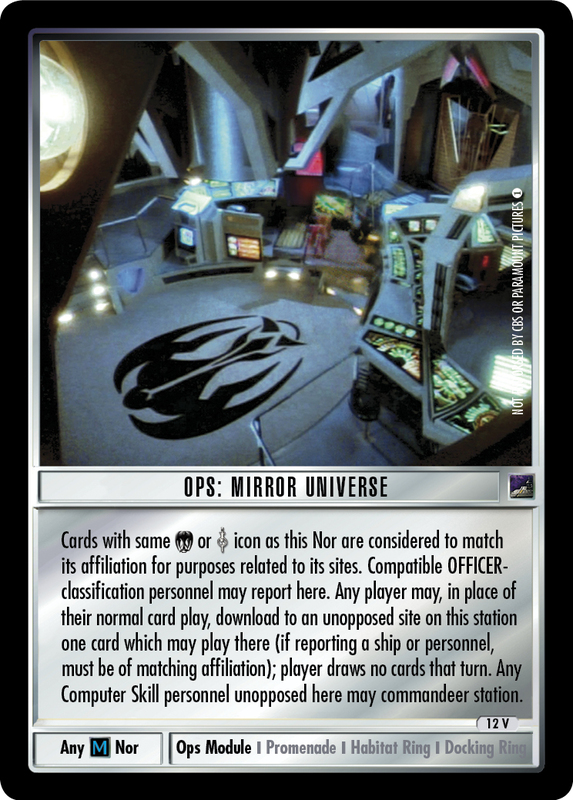 Any player may, in place of their normal card play, download to an unopposed site on this station one card which may play there (if reporting a ship or personnel, must be of matching affiliation); player draws no cards that turn. Any Computer Skill personnel unopposed here may commandeer station.